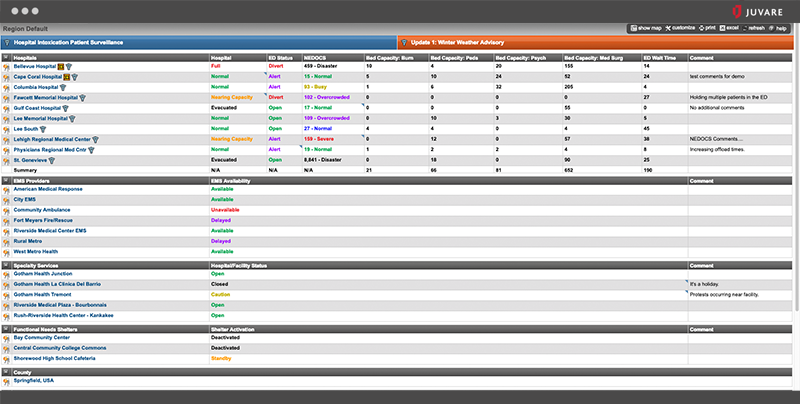 Track healthcare resources, availability and facility operations status. Designed for healthcare providers and first responders, giving comprehensive views of local, state and regional resources. EMResource helps users gain insight into healthcare infrastructure capabilities to identify the hospital best equipped to treat incoming patients and monitor the current health of the community. EMResource offers convenient and holistic operational views of local, regional, and state resource availability and limitations in colorful and organized displays. EMResource supports exercise and live event management by allowing users to create events, notify involved individuals and collect critical information necessary to effectively respond to medical emergency situations. 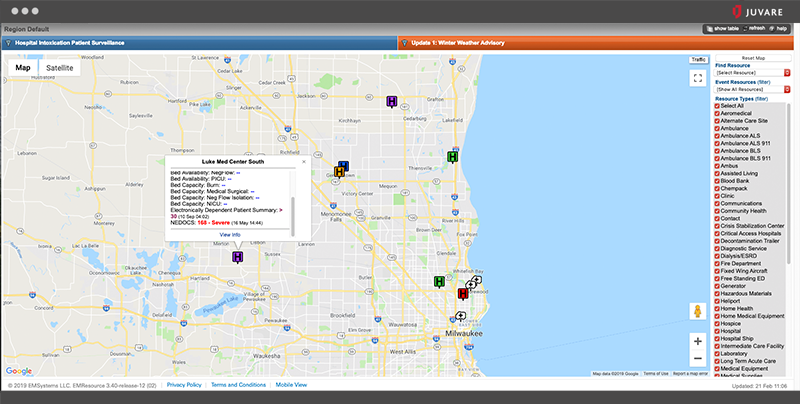 EMResource provides real-time visibility into current emergency department status and patient throughput information, helping direct ambulances to the hospital that can best fit their patients’ needs. Data reporting includes: NEDOCS calculation, patient offload times, psychiatric holds, intensive care bed holds, and Stroke, STEMI, and trauma service availability.